President Trump announced Wednesday that the attorney general would be stepping down and that Sessions aide Matthew Whitaker, an outspoken critic of Robert Mueller’s probe of Russian influence in the 2016 election, would be taking his place. The move has sparked concern that Whitaker would end or hamper the investigation. Organizers have been ready to go for a while now. The day of action organized by the nonprofit progressive group MoveOn an dubbed the “Mueller Protection Rapid Response” had been pre-planned in the event Sessions was pushed out of office. Trump had been widely expected to fire Sessions after Tuesday’s midterm elections. 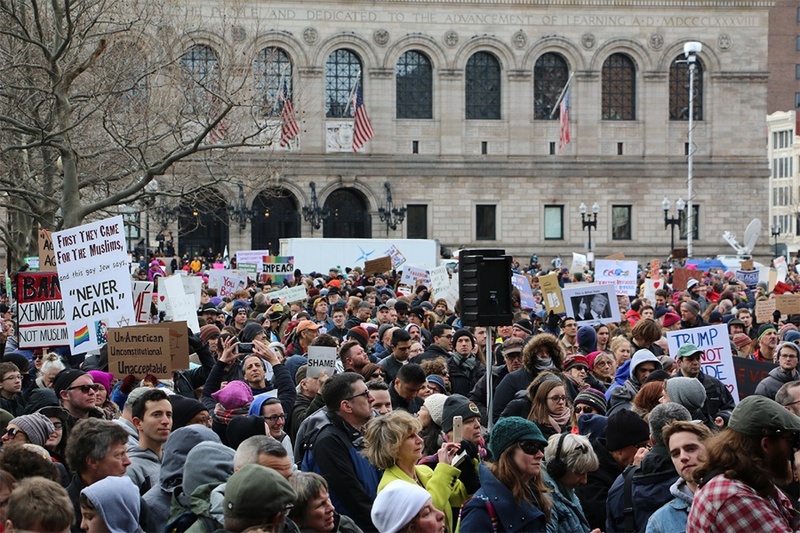 A website run by MoveOn.org lists hundreds of similar protests around the country, including in 43 Massachusetts cities and towns. The rallies will put Massachusetts in the uncomfortable position of, even obliquely, arguing that Jeff Sessions should keep his job. There has been no love lost here for the attorney general, architect of the Trump administration’s family separation policy at the border, which also ignited protests in the state. Last month, when Sessions dropped by Boston to speak to a local branch of the Federalist Society about religious liberty, two local pastors interrupted his speech, read him Bible verses, and urged him to “repent,” before they were led out by police.